Conditions and Diseases | Whats Happening? Click on photo for the full-size flyer. Path of Hope is holding their Fifth Annual Motorcycle Ride for Recovery. Please join us on Saturday, August 5, 2017, for food, fellowship, and motorcycles! We will meet at Path of Hope and make a round trip ride to Dan Nicholas Park. Breakfast, snacks, and lunch will be provided for participants. 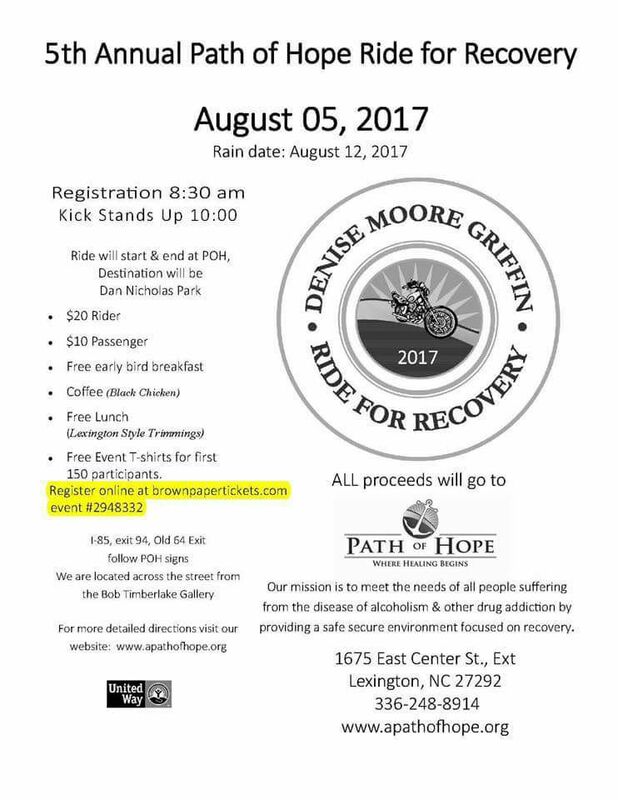 The first 150 registrants also receive a FREE Path of Hope ride t-shirt. Our Mission is to meet the needs of all people suffering from the disease of alcoholism and other drug addiction by providing a safe secure environment focused on recovery. 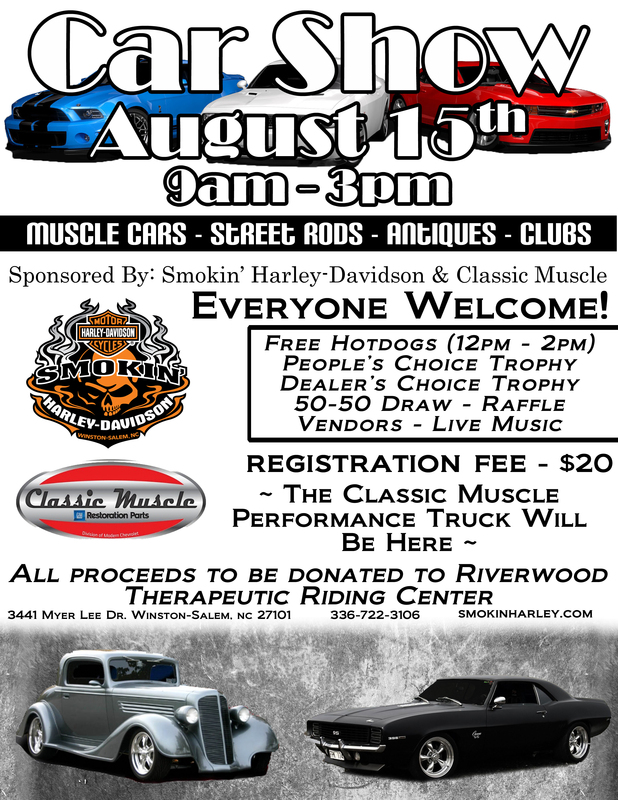 Car Show today from 9 – 3 sponsored by Smokin’ Harley-Davidson and Classic Muscle Restoration at Modern Automotive. All cars are welcome. Whether you own a Muscle Car, Street Rod, Antique, have an Automobile Club or Rat Rod, everyone is invited. There is a $20 per car fee with monies going to the charity. There will be Vendors, Live Music, Free Hot Dogs from Noon to 2, 50/50 draw and the Classic Muscle Performance Truck will be on display. You can purchase tickets and vote for who should win the trophy for the People’s Choice and there will be a trophy for the Dealer’s Choice. All proceeds from the day to benefit the Riverwood Therapeutic Riding Center. Come early, stay late. Click here to download poster flyer. 2015 Ride 4 Our Kids. Saturday June 6, 2015. 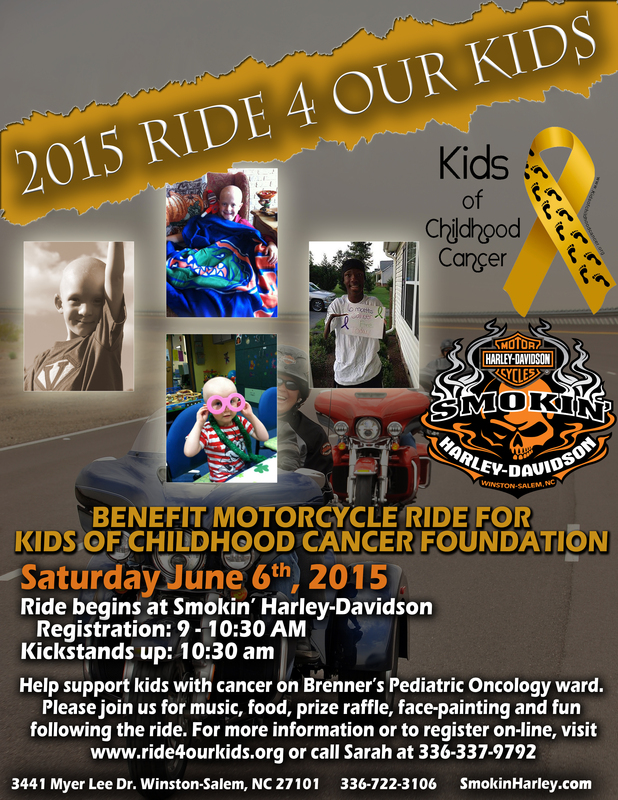 Benefit Motorcycle Ride for Kids of Childhood Cancer Foundation. Click on picture to Enlarge Poster for download. Ride Begins at Smokin’ Harley-Davidson. Registration: 9-10:30 am Kickstands up: 10:30 am. Help support kids with cancer on Brenner’s Pediatric Oncology ward. Please join us for music, food, prize raffle, face painting and fun following the ride. 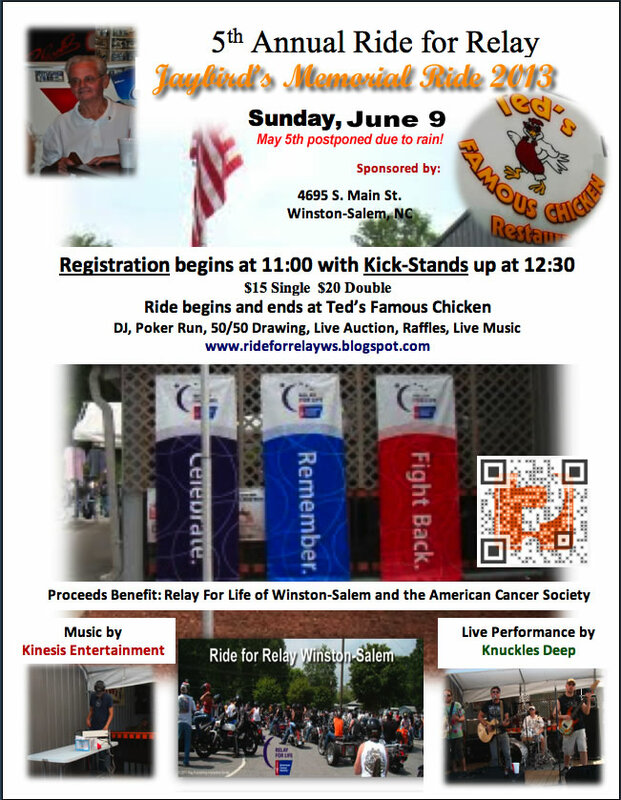 For more information or to register online, visit www.ride4ourkids.org or call Sarah at 336-337-9792. Time: The event starts at 8 a.m.
Click on picture for desktop wallpaper for your Mac or PC! Come join us for the 15th Annual Susan G. Komen Northwest NC Race for the Cure® at our new location and date! The Susan G. Komen Northwest NC Race for the Cure® will be held in Downtown Winston-Salem with pre- and post-Race celebrations at the BB&T Ballpark. For the past 14 years, Susan G. Komen® Northwest NC has been hosting the annual Susan G. Komen® Race for the Cure. For 14 years it was held in the same place and in the same month, but this is a big year. This will be year 15 of our iconic Race, and we’ve got some very exciting news. 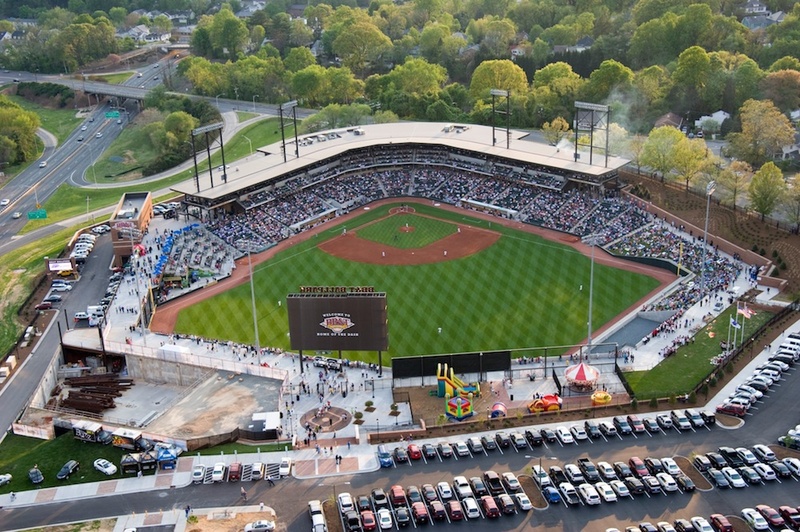 This year, the Susan G. Komen® Northwest NC Race will be held on Sept. 27, 2014, at the BB&T Ball Park in Winston-Salem. The change was spurred by the hope of kicking off Breast Cancer Awareness Month on the right foot. Race is more than just a 5k walk and run…it’s a celebration of breast cancer survivors, fighters, co-survivors, pre-vivors (BRCA positive men and women) and dedicated advocators who want to see the world rid of breast cancer. However, registering for the Race is only half the battle. Komen Northwest NC takes donations throughout the year and from Race and uses them for a variety of reasons, such as community grants and to help provide underprivileged women receive education materials, proper treatment and preventative care. So what does this mean for you? It means you need to fundraise. Fundraising is so important and every penny helps. Don’t be afraid to go door-to-door or to host dinner party for friends and family – you can have each person pay for a plate of food, and then take a portion of that for a donation. For more unique and creative fundraising ideas, visit 101Fundraising Ideas. Currently, Race registration is $25 for adult non-timed and $30 for adult timed racers. Starting April 1, registration prices go up to $30-$35. To register for Race or to activate a team from last year, click here. Click on picture to open Cindy’s Team on Fox 8 Website! It’s time to take that wintry leap and warm your heart for Special Olympics! Put on those crazy costumes and go let’s go Freezin’ for a Reason. The 2014 Polar Plunge for Special Olympics NC season is fast approaching. Below is a calendar of all the Polar Plunges that benefit SONC and the latest information. New events will be added as they are finalized, so keep checking back. We dare you to join us! Come plunge at the annual Wet N Wild Polar Plunge hosted by the Guilford County Sheriff’s Office and benefitting the Law Enforcement Torch Run for Special Olympics. This is always a fun event with lots of plungers in crazy costumes. Get your friends together and come wash away the winter blues. Minimum donation is $50 ($10 for the under 8 year olds). Gates will open at 10:30 a.m. and the plunge will begin at 1 p.m. We dare you! Thanks to all the brave individuals who will take the plunge! Create a fundraising webpage at Firstgiving.com/sonc to raise donations online. This month’s The Loop-Kernersville Fundraiser will be in Honor of Brandon Ingram – a local 10 year old has been battling Ewing’s Sarcoma since he was diagnosed on November 28, 2011. He relapsed on June 14, 2013 and is now on Hospice care in Winston-Salem. The financial toll of cancer, the bills, and what costs are yet to come have hit hard. Our foundation Kids of Childhood Cancer has offered a “Brandon’s Warriors” Fundraiser Night at our monthly Loop Night on February 27th. 10% of all proceeds from all orders from anyone who comes will be donated to Brandon, on top of any donations to the foundation. 100% of OUR donations will help Brandon’s family as well. Are You Ready to Ride for a Great Cause? Proceeds Benefit: Relay For Life of Winston-Salem and the American Cancer Society. We are sorry but due to rain predicted this Sunday May 5th. We have rescheduled the benefit to Sunday June 9th.